JohnWitherspoon is a Legacy Library. Legacy libraries are the personal libraries of famous readers, entered by LibraryThing members from the Legacy Libraries group. » John Witherspoon's legacy profile. JohnWitherspoon is also an author. » See John Witherspoon's author page. About meJohn Witherspoon (15 February 1723 - 15 November 1794), a Scottish-American Presbyterian minister and president of the College of New Jersey (now Princeton University). The only clergyman and college president to sign the Declaration of Independence. Born in Gifford, Scotland, Witherspoon was educated at the University of Edinburgh, taking a Masters of Arts degree in 1739. He was pastor at the Presbyterian churches of Beith (1745-1758) and Paisley (1758-1768), during which time he wrote several theological works. 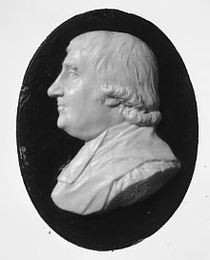 In 1768, Witherspoon accepted the invitation to become the sixth president of the College of New Jersey, where he taught the senior moral philosophy course and instituted several key curricular reforms. Witherspoon was an early supporter of the American struggle against Britain, joining a local committee of correspondence in 1774. He was elected a delegate to the Second Continental Congress, serving there from June 1776 until November 1782 in a prominent capacity. Following the Revolution Witherspoon took on the responsibility of rebuilding the damaged campus, served two terms in the state legislature, and supported ratification of the Constitution. He died in 1794 and is buried in the Princeton Cemetery. About my libraryThose volumes included here are from the collections of Firestone Library at Princeton University. Any additional volumes will be added as they can be located (tips appreciated). Many of the works in Witherspoon's library are pamphlets bound together into volumes. Those volumes are noted in the Comments section for each record, and are listed here, for browsing purposes. Witherspoon left his books to his wife Ann in his will, dated 15 September 1793: "I do hereby constitute and appoint my beloved wife Ann Witherspoon my sole heir, executrix and administrator bequeathing to her my whole estate real and personal including stock upon the farm, household furniture, Books &c. generally every thing belonging to me ...". The library is valued at $640 in the inventory of his estate, taken 28 November 1794.